Singing, dancing, sass, and a healthy dose of destroying diet culture. 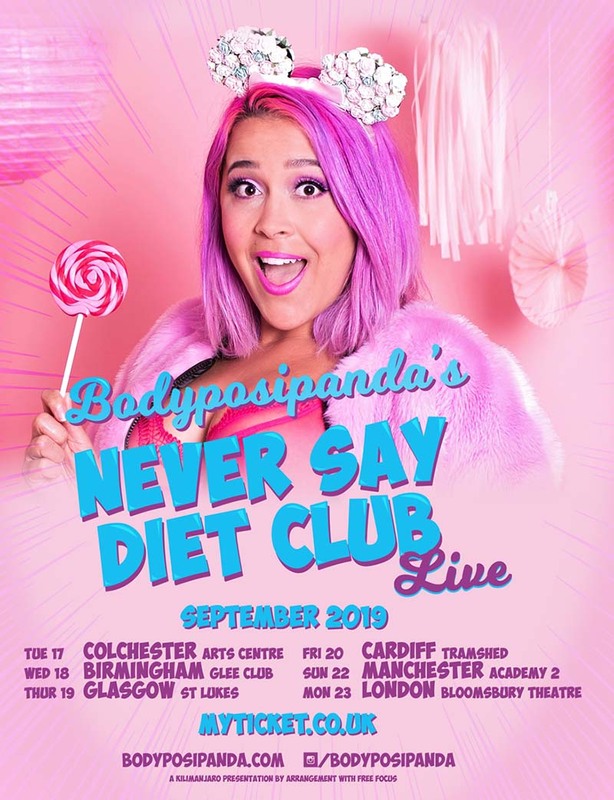 The first ever Never Say Diet Club is open to everybody who's ready to join the revolution, smash their scales and reclaim their worth beyond weight. Expect straight talk about why we hate our bodies and how to stop buying the bullsh*t, a sense of community that isn't based in counting calories together, and plenty of jiggle and shake. Hopefully you'll leave feeling entertained, empowered and more at home in your body than you were when you arrived. Oh, and we won't make you track the points in your interval snack, either. The venues are fully accessible and absolutely all bodies are welcome.